In autumn 2018 we got the opportunity to work on a project in Croatia for our company. For this we were stationed in Rijeka where we had an office room. When we drove down to Rijeka mid-September we did not know how long the project would last. Because our flight crew was very lucky with the good weather they could finish the flights faster than expected. In the end it turned out that we would need four weeks for the project. 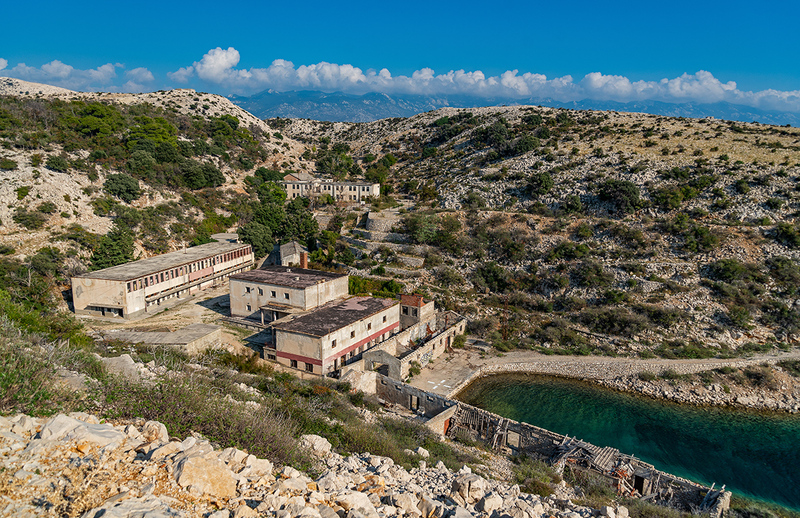 We did a road trip to the island of Cres. Cres itself is a lovely town and we also found a very nice small beach with amazing crystal clear water. 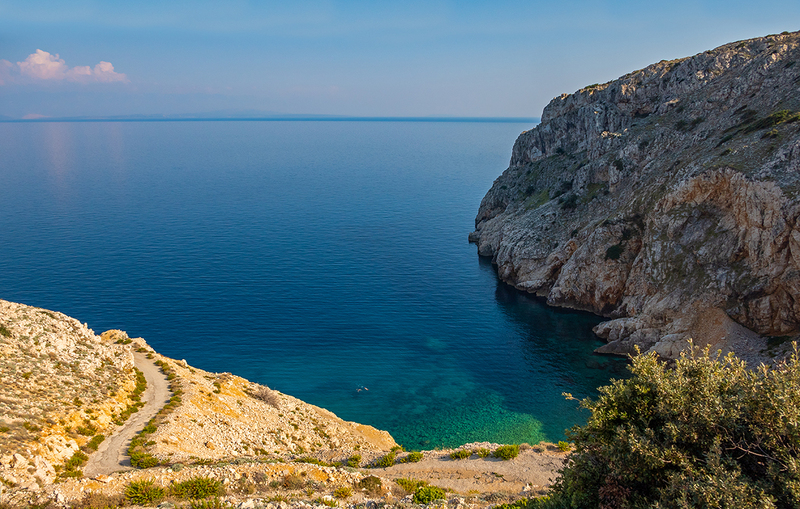 We went to the island of Krk several times because the plane and our flight crew were stationed there. We did several very nice hikes around Rijeka. Once we hiked on Istria near Buzet. 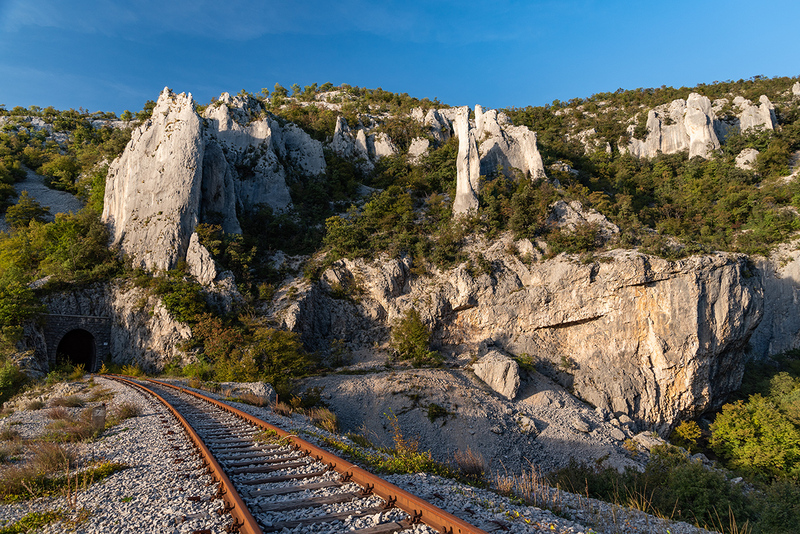 One evening we went to the Ucka National Park to the gorge "Vela draga". Another day we visited our lovely Croatian colleague near Grizane and hiked up the rocks close by. And on our last weekend we went hiking north of Rijeka near Platak in fantastic autumn colors. 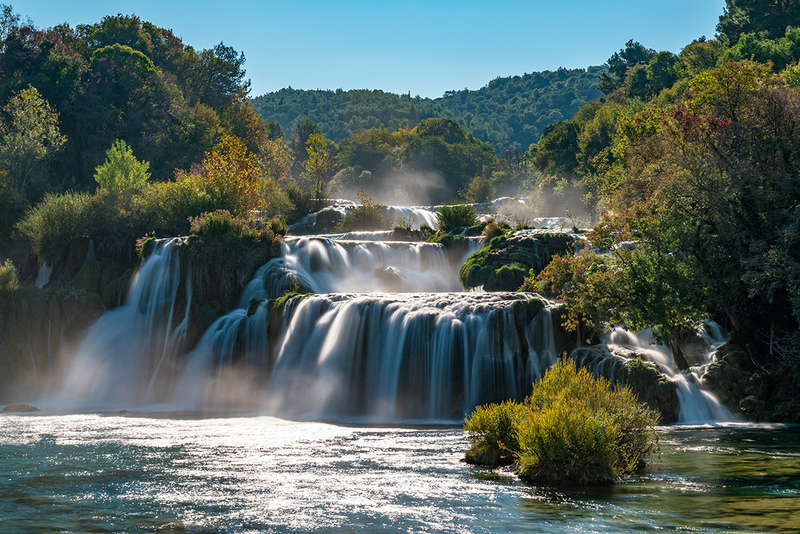 After our job was finished we had six days vacation so we started to one of the most famous places in Croatia and maybe even Europe – Plitvice National Park (Plitvička Jezera). We stayed in a guesthouse very close to the big waterfall so it was easy for us to go to the Park very early. Unfortunately the weather was not as good as hoped (more clouds than a photographer would hope for at waterfalls…) but we still had a great time. Because we started so early it was also quite pleasant with few people (it got crowded around noon). 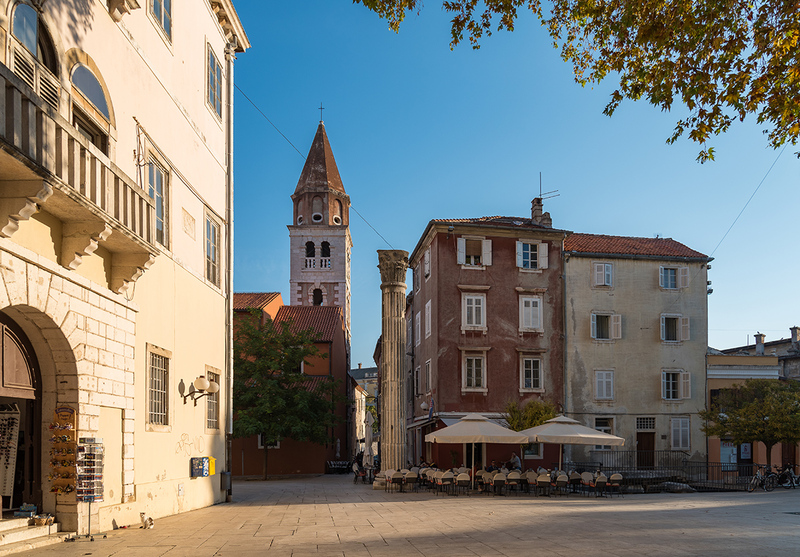 After two days in the National Park we drove back to the coast to Zadar which is a very nice old town. We continued down the coast, made a long lunch break at the beach with a last refreshing swim (mid-October) and arrived in the late afternoon in Trogir, another nice little old town center. 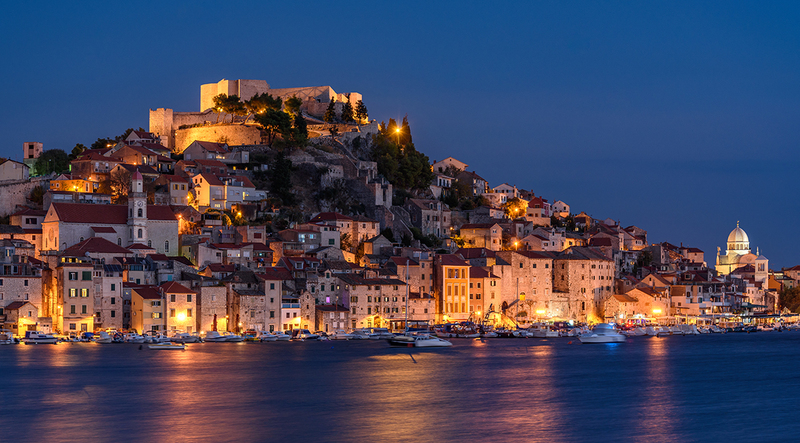 Our last stop was Šibenik. Also a very nice town but now it was obvious that the tourist season was already over… most of the places and restaurants were closed. The advantage of this low season is definitely that you get very cheap and good accommodation. We usually payed 30 Euros for a very nice private room with bathroom. From Šibenik we visited Krka National Park. We had the perfect timing for our short holidays because on our last day we got a first impression of the very strong Bora wind which starts to blow in Croatia in autumn. At some point the motorway was closed because of the strong wind (we would call it storm…) so we drove along the very winding costal road from Zadar to Rijeka. There we packed all the computer equipment which we had used for the project and the next morning we drove back to Imst. Rijeka has many one-way roads. It took us 10 minutes to drive from the office to our first holiday apartment although it was only 300m away. In addition to that the parking situation is very intense - leading to quite some unusual parking. each Autumn the Bora wind comes to Croatia - it is considered to be one of the strongest winds in the world. When the Bora is blowing the speed on motorways is partially limited to 40km/h and bridges get closed frequently.